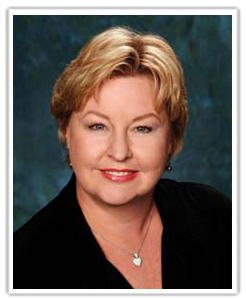 Mary Lasater has devoted over 25 years as an educator to students with disabilities in public schools and universities, as a staff developer working for state agencies and as an independent consultant. She has always revered the role of the paraeducator and has kept paraeducator issues at the forefront of her body of work. 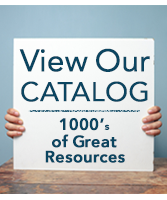 Lasater has authored/co-authored numerous publications and resources focusing on paraeducator knowledge and skills, including articles in the Journal of Staff Development and Teaching Exceptional Children. She was editor of Developing Highly Qualified Paraeducators Newsletter, as well as author of 59 articles for that publication. 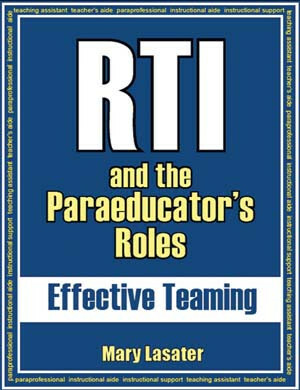 Her publications also include the training materials Paraeducators: LifeLines in the Classroom (six training modules); Triplicity: An Administrator’s Guide to Facilitating the Partner Teacher/Paraeducator Partnership; Melding: A Partner Teacher’s Guide to Working with Paraeducators who Support Students with Disabilities; and Power Paraeducator: Testing and Portfolio Documentation Guide; and the book, RTI and the Paraeducator’s Roles: Effective Teaming, published by National Professional Resources, Inc./Dude Publishing. Lasater has made over 40 presentations at state and national conferences, such as Council for Exceptional Children, TASH, National Resource Center for Paraprofessionals, and Inclusion Works. She provides direct training to paraeducators, as well as training trainers to implement the LifeLines curriculum in their own districts.